Discipline is paramount in implementing a total starting strategy for each and every boat race. Without a sound understanding of the procedure by every team member on a boat, and allowing time to gather information before the start of every race, your chances of making well calculated decisions are substantially reduced. 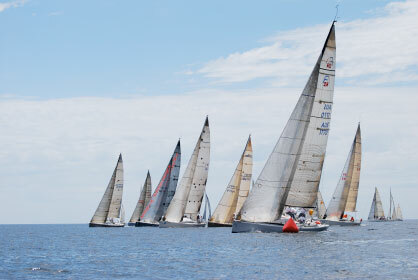 Many different sailors and teams have their own ideas and plans for the start of the race. The guide outlined here is a system that works well for me and you may find that modifying this works better for you – but the only way to establish this is to start practicing and sticking to a plan from the outset. The learning can only begin when you start!. What is the forecast for race day? Persistent shifts / oscillating / steady breeze? Increasing / decreasing / steady pressure? Having a plan of where you want to be on the race track will determine where you want to start. What is the fastest track on the first leg? And other legs? Get the true wind direction – go head to wind – what is it? 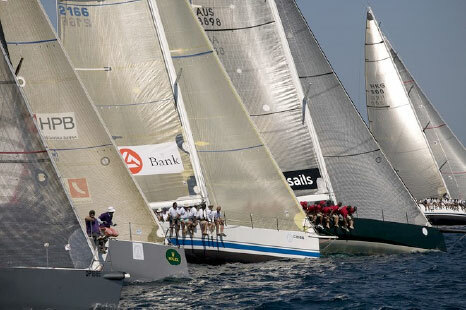 The angle of the start line – sail down it – what heading is it? How long does it take to sail from one end to the other? Identify the high risk zones when the line is biased – these areas can often result in chaos and crashes. It may be worth starting near the favored end, but just clear of the commotion! Choose your position on the line where you want to start Time your run to the line and hit it with maximum speed and height 2. Approach under the fleet on port tack, looking for a gap in the line. When you see a gap you like, tack into it and commence your time / distance approach. The later the batter, but higher risk! High risk and only optional on a substantial pin bias, timing is everything and the window to sneak in at the pin and clear the oncoming starboard fleet is minimal. Lots of practice required for this one….and it’s hero or zero! Confirm the flags! Information! Which fleet? Which Course? Get an accurate time! Choose your technique – which will get you the best start from all the information you have? Make sure you have a B plan too! It often goes bad – and if you have a B plan you won’t be indecisive! Commitment – Execute plan A or plan B? Time/ distance - Get to the line as high and fast as possible! - Create a gap to leeward if you have the chance in this last minute - Take the opportunity to squeeze your opponents if you can! How do we look? Have we got clean air? Should we be sailing high, middle or low groove? Options? What are they? Can we sail to our strategy? If not, what is the best from here? Sail the boat to get options - sail high to lee bow opponents, low to roll over an opponent, or middle to stretch to your favored side. Analyse what happened and learn from the experience – you just got one for free! Analyse circumstances – and learn from it! Don’t beat yourself up – if you have never had one, chances are you have never lifted a cup either! Starting well takes discipline to follow a method, gather information, make a plan and execute it. The more you practice the better you will get. And if you don’t OCS once a year – you are holding back! Get in there! Good luck – sail fast and fair…from the onesails team!